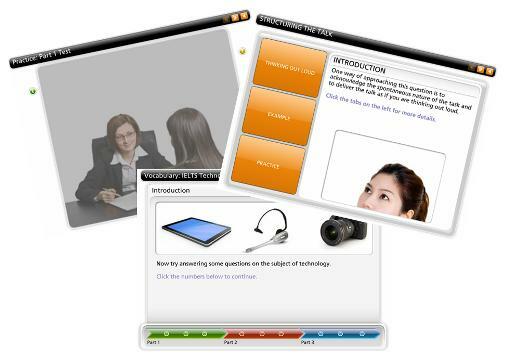 IELTS Speaking: Face the IELTS Speaking exam with confidence. — Face the IELTS Speaking exam with confidence! Ready to face the challenge? About to take the IELTS Speaking exam? Learn the strategies and skills you’ll need to get that top grade you’re after! Try our daily and weekly updates to help you prepare for the IELTS Speaking exam. IELTS topic vocabulary lessons. Learn the words you’ll need to express yourself fully in Part 1, 2 and 3. IELTS Grammar lessons to help you express yourself accurately during the exam. Weekly 5-Minute Functions video lessons. Practise the key functional language you can use to shine in the IELTS Speaking exam. Weekly IELTS Speaking practice test. Record yourself trying a Part 2 or Part 3 test and listen to others who have tried themselves. Weekly IELTS Speaking Task Sheet. Our weekly online exercises summarized in a single-page printable download. Daily ‘Splendid Expressions‘ quizzes. Use our 3-stage approach to learn some of the common set phrases and idiomatic expressions to give you the edge on the big day.